Health Care Renewal: More on Perversity in the Healthcare IT World: Is Meditech Employing Sockpuppets? More on Perversity in the Healthcare IT World: Is Meditech Employing Sockpuppets? At "Are Dissmissive Industry and Government Reactions to Physician Concerns about EHR's and other Clinical IT Simply Perverse?" I observed that cavalier dismissals of physician reports on HIT unusability and difficulties fit quite well the definition of "perverse:"
The common theme in their feedback was how HIT in its present form disrupted private practice physicians, distracted them from the physician-patient relationship and impaired their ability to properly care for patients. See the above-linked post and AAPS survey report. An anonymous, usually lively and even combative reader "IT Guy," who claims to be an IT professional at an HIT vendor, on occasion leaves comments to my HIT posts. It's the March of the Ludites. No one is dissmissive of legitimate concerns. Luddites are a different story. Most of the "concerns" in that diatribe are of the Luddite variety. In other words, a survey of physician concerns is a "diatribe" and it is up to the "IT guys" to determine which physician concerns are "legitimate" and which are of the "Luddite" variety. "IT Guy" remains anonymous and has been so since he first started posting comments here, despite prodding to reveal his identity to better facilitate an understanding of where his/her viewpoints arose. He/she has neglected to do so. Now, I welcome anonymous comments and have a thick skin - to a point. When the comments go ad hominem or perverse, I do consider deleting them. However, when such comments are potentially revelatory of major issues, I promote and amplify them - as now. Read on. Yes, it’s that simple. If you select for pre-IT and post-IT data and use a large enough sample size the other factors with equal out. If the sample size is large enough you should have a relatively small margin of error. [i.e., "Programmer" -- who I soon show is also "IT Guy" -- opines that in comparing clinical adverse event rates pre- and post healthcare IT installation, all you need is a large enough sample size, which then nullifies or cancels out, for example, changes occurring over time that are not related to the intervention, and other potential confounders in a pre-post comparison. If only evaluation studies in healthcare informatics were that simple ... it is concerning that IT vendor personnel might have such beliefs - ed. ]And the fact that a teaching professor at a major university has virtually no understanding of statistical analysis makes me say “at least I don’t have to worry about losing my job to one of his students." Now, back at HC Renewal see this combative comment thread where "IT Guy" a.k.a. "Programmer" refers to that removal, and repeats the above statistical faux pas and ad hominem ("just to make sure I read the whole thing"), and adds another ad hominem for good measure. I let them remain. (Comment dated October 20, 2009 1:35:00 PM EDT.) HIStalk's "Programmer" and HC Renewal's "IT guy" are apparently one and the same. Getting to the core of this posting, I repeat, when such comments are potentially revelatory of major issues in HIT, I promote them - as here. Before "IT Guy" posts comments at HC Renewal, "hits" appear from a major health IT vendor's IP in our publicly-accessible Sitemeter log, with outclicks to the comment sections of posts where "IT Guy's" comments then appear. At the time of the outclick, there were "0 comments" to that post, as shown in the log above. Shortly after, IT Guy's aforementioned "Funny March of the Luddites" comment appeared ... as comment #1. After that, more comments from "IT Guy" appeared starting with ... #24. The pattern has remained consistent. Now, the evidence is circumstantial but it does not take a Sherlock Holmes to realize it is quite likely this commenter is an employee of a healthcare IT vendor named in the above links, Medical Information Technology, Inc., a.k.a. Meditech. I am concerned that a possible employee of an HIT company - any HIT company -- might find physician concerns about HIT as serious as those expressed in the AAPS survey "funny" and "of the Luddite variety." I also am concerned that an employee might think that in situ pre-post evaluations of the technology need not take into account possible confounders. How common is this attitude among HIT vendor employees? Is this a systemic problem? How do such attitudes translate into satisfying customer requests for remediation of HIT defects and problems? At the very least, perhaps employees of HIT companies (such as the one in the logs above at Meditech, whoever they may be) should pay more attention to improving HIT, rather than spending 1 hour 5 minutes 23 seconds reading 12 posts here during business hours. 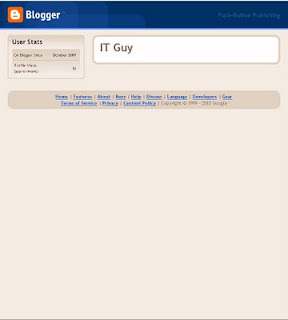 "IT Guy" is welcome to continue submitting anonymous comments, but if they contain ad hominem they will be deleted. In reading this thread of comments I have to believe IT Guy is a salesperson. My only question is: Were you assigned this blog or did you choose it? We had this problem a number of years ago where a salesperson was assigned a number of blogs with the intent of using up valuable time in trying to discredit the postings. In my very first sales class we learned to focus on irrelevant points, constantly shift the discussion, and generally try to distract criticism. I would say that HCR is creating heat for IT Guy’s employer and the industry in general. I find it sad that a company would allow an employee to attack anyone in an open forum. IT Guy needs to check with his superiors to find out if they approve of this use of his time, and I hope he is not using a company computer, unless once again this attack is company sanctioned. To most of the readers of Healthcare Renewal, who find a focus on irrelevancy and irrationality to be signs of foolishness and hysteria (we clinicians have seen it all, by the way), this salesperson has nothing to sell. Another perversity also comes to mind. If what Mr. Lucas suggests is indeed occurring, a company behind such actions would be exhibiting self destructive behavior in trying to disrupt and discredit those who could actually help them to make better products and be more competitive. I remind that patients are the true "customer." It also follows that, if this analysis is true, the defamatory attacks left at HIStalk and here at HC Renewal would have been made with foreknowledge of their falsity and with malice. I have informed the company's General Counsel of this information and hope that will be sufficient to cause the harassment from their company to cease. Defamation, I also add, is certainly not a particularly wise HIT vendor strategy with the HIT industry under investigation by US Senator Grassley (see Oct. 2009 PDF letter to a number of vendors and management consultant firms here). Having worked in pharma, however, another self-destructive industry due to its internal pathologies, I've seen worse done to critics. Incidentally, another probable blog troll/sockpuppet comment from that industry is in the comments section at this Jan. 2008 post. HIT vendors, in my experience, simply believe that people who work in hospitals are morons, and are sometimes right. This includes physicians, who despite having years of schooling obviously not having a clue of what to do for patients. In my years in working for a major AMC in IT, I've been threatened by vendors and have been treated like a moron despite knowing my job and customers simply because I'm trying to help solve a business need, and not buy a useless product. HIT people should be asking themselves "What can we do to make the job of a caregiver easier and treat our patients better?" on a daily basis. We have "luddite" physicians at our AMC, but it doesn't mean they're stupid. Instead, you have to ask "What can I help with?" IT vendors, in my experience, simply believe that people who work in hospitals are morons, and are sometimes right. Indeed, but they are mostly wrong. Indeed. I would generalize that to "IT specialists - and applications they create - should never be antagonistic towards their customers." That such statements even need to be put into print in 2010 is what I find startling. Computers have now been around for 60 years or so, and PC's for about half that time. Excuse me? They threatened you, a hospital IT employee? Business must be slow for the IT Guy and his company even with the Government's free money for all HIT manufacturers that meet meaningfully useless definitions. Don't Buy. Take the Penalty. Stay out of the Government's Program. If HIT vendors do this to bloggers, I can only imagine what they do to actual competitors. One less vendor for me to consider, thanks! I do recall that there were car blogging company sockpuppets a couple years ago, but doubt they're still used given the downturn in that industry. I do not suggest or imply that this vendor should be avoided. The evidence is convincing but not 100% - the IP could be spoofed, for example, by a competitor trying to make another company look bad - and even if "IT Guy" is a Meditech employee I do not know if his/her online badgering and harassment was company sanctioned. Perhaps, however, they could offer an explanation. Socky the Meditech Sockpuppet on Vacation? IT Religion and Windows 7 "God Mode"